I had the most amazing week with my sister visiting, we did not do a lot of crafting but we sure did do a lot of out of doors things. The weather was stunning, my sister headed back home early this morning and she took the sun with her. I can here the pitter patter of the rain outside. The rain is predicted to hang around for tomorrow as well, which is perfect so that I can make a card for World Card Making day. 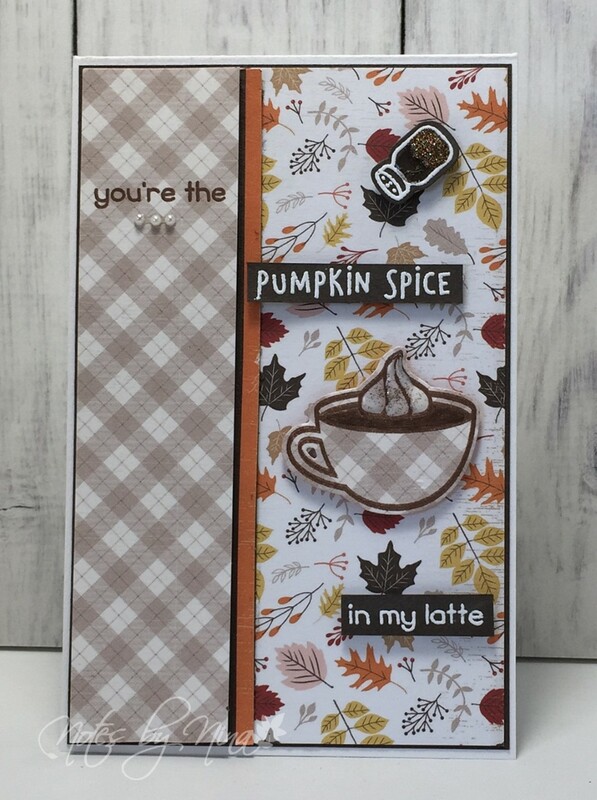 I made this card slightly smaller than a normal A2, I popped up the plaid panel and added a strip of dark brown and orange before the fall pattern. 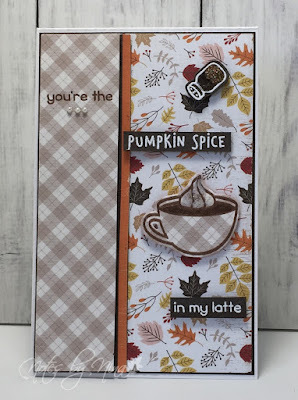 I used the cute Pumpkin Spice stamp and die set for my all the other element all which are popped up with foam tape. Supplies: White and brown cardstock, Designer Paper - Carta Bella, Lawn Fawn - Pumpkin Spice, pearls.